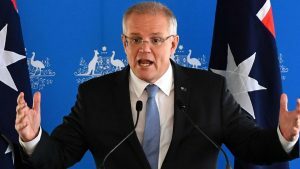 Prime Minister Scott Morrison tells that he believes regional areas of Australia are ready to welcome a large number of migrants. Speaking to SBS Hindi after the announcement, Mr Morrison emphasised that the announcement is not about being seen to be tough on migration. “We have large numbers of job requirements in these areas,” t.he prime minister told SBS Hindi. Mr Morrison says the communities in regional areas are ready to embrace the migrants. “The great thing about our regional communities is that they are very inclusive and very open and very adopting. And I think the support could be even greater from the local communities in these places. “I think there are great opportunities there. Australia is welcoming migrants, as Indian-Australians already know and already experienced and already play a part now in welcoming other migrants,” he said. Almost two-thirds of Australians live in cities of more than a million people.